The golden sun is setting over the Strait of Belle Isle and will disappear beyond the hills of the Big Land – Labrador. This was a magnificent view I experience from my backyard. A truly joy of rural living when you are at water’s edge. This has been a summer where we’ve experienced the freshest seafood, either at one of our fine local restaurants or at home. 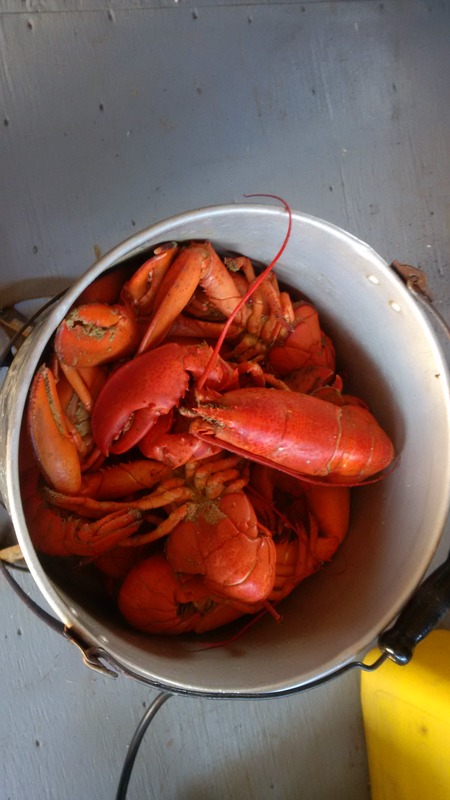 Lobsters have been boiling in the shed and eaten outside. Food definitely tastes better when it’s prepared and eaten outside for some reason. The wonderful surroundings, the fresh air, green space, blue skies, sunshine and tranquility certainly provide the perfect atmosphere. 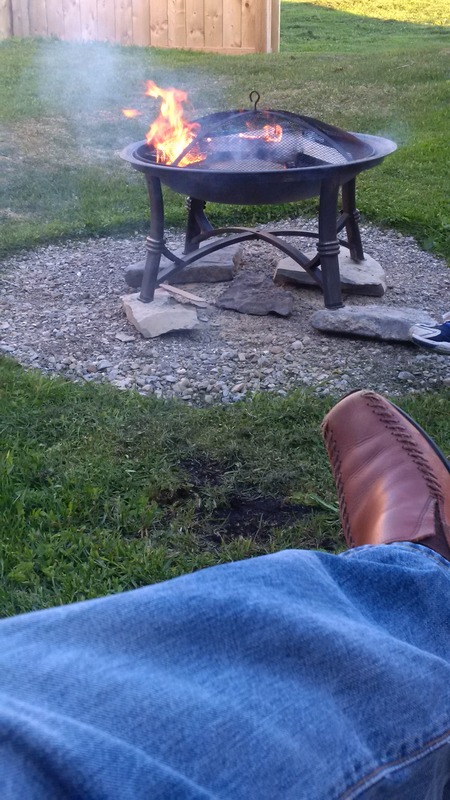 The backyard fire pit and entertaining area is still a work in progress, but even the flames of a store purchased pit can provide just what you need for gatherings of friends and family to share song, stories and enjoy the warmth of the fire when the sun goes down. It’s always important in our busy lives that we stop to smell the roses and realize the value of rural living. The Great Northern Peninsula offers backyards that have golden sunsets and everything you need to enjoy the beauty of your surroundings.